The events of April 19, 1775 were a turning point in the long struggle between England and her thirteen American colonies. 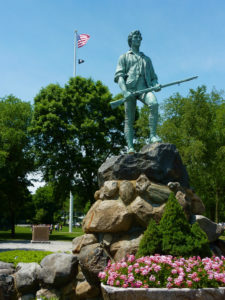 This tour follows the battle road from Boston to the Lexington Green, where Paul Revere’s famous ride warned the colonists that the British were coming. It was here that the first military engagements of the American Revolutionary War took place and the first shot of the Revolutionary War was fired in Concord. 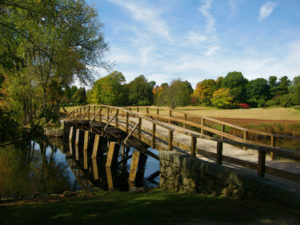 Visit the Minuteman National Park before arriving at the Old North Bridge where the “shot heard round the world” rang out. Lexington is also known for literary culture. It is the home of Nathaniel Hawthorne, Emerson, Thoreau, and Louisa May Alcott. You can visit the Alcott house where Little Women was written.